Explanation: Saturn's ragged moon Rhea has one of the oldest surfaces known. 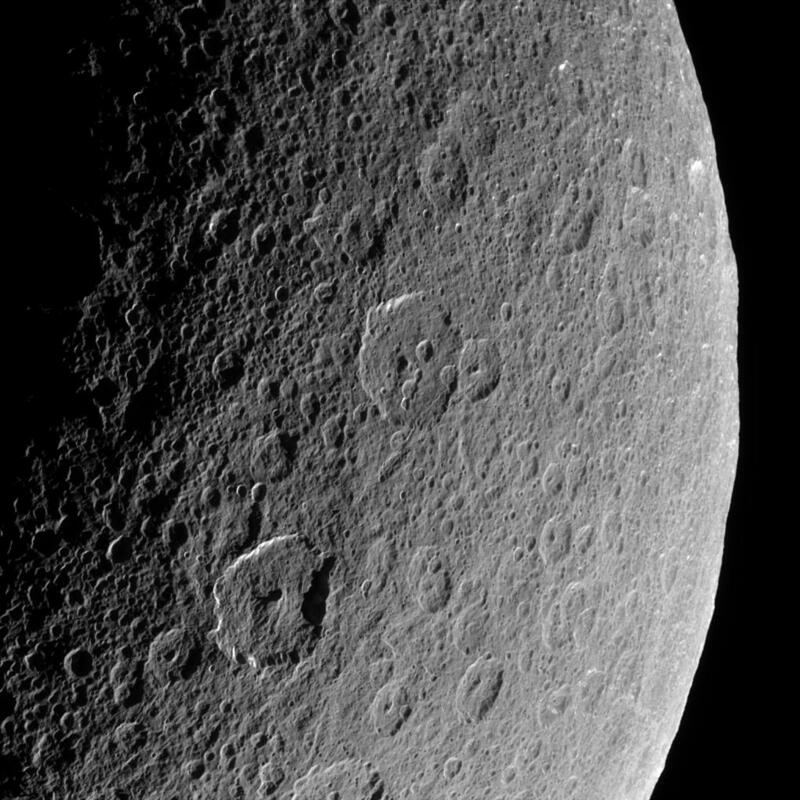 Estimated as changing little in the past billion years, Rhea shows craters so old they no longer appear round – their edges have become compromised by more recent cratering. Like Earth's Moon, Rhea's rotation is locked on Saturn, and the above image shows part of Rhea's surface that always faces Saturn. Rhea's leading surface is more highly cratered than its trailing surface. 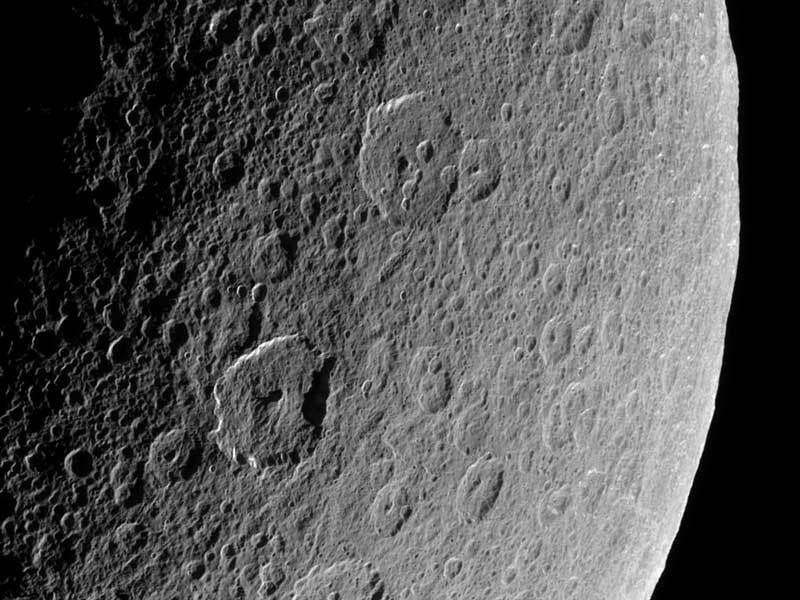 Rhea is composed mostly of water-ice but is thought to have a small rocky core. The above image was taken by the robot Cassini spacecraft now orbiting Saturn. Cassini swooped past Rhea two months ago and captured the above image from about 100,000 kilometers away. Rhea spans 1,500 kilometers making it Saturn's second largest moon after Titan. Several surface features on Rhea remain unexplained including large light patches.